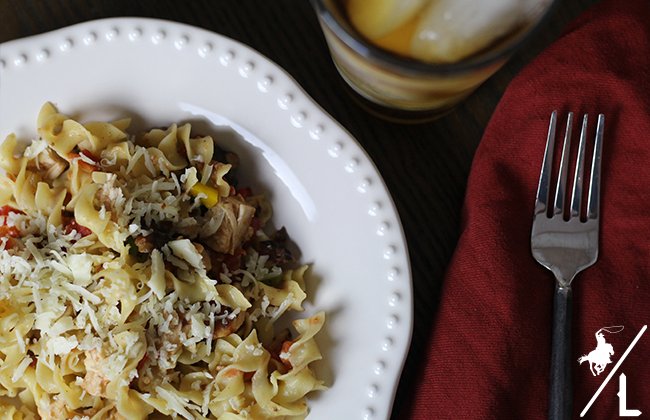 Looking for an easy and tasty weeknight dinner? 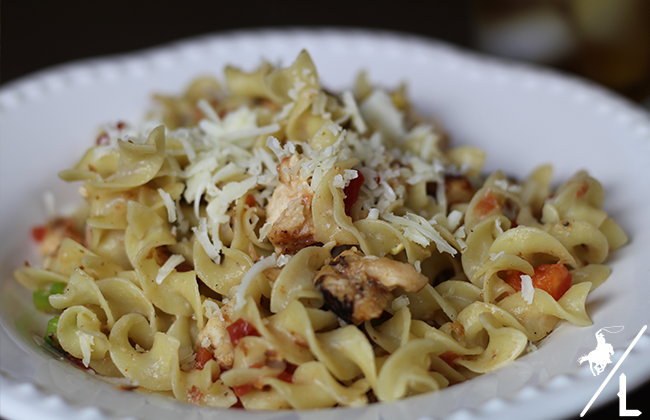 This one pot Chicken Fajita Pasta is perfect for such an occasion. I made this dish a few nights ago and can’t wait to make it again. I like that it uses ingredients that I always keep stocked in the fridge and pantry. Plus it takes under 30 minutes and is packed with flavor. We didn’t have any leftover, so next time I will be sure to make more because this will be a great recipe that tastes just as good on day 2. We eat Mexican food at least once a week. So instead of making this as regular fajitas, I served this using No Yolks Noodles. 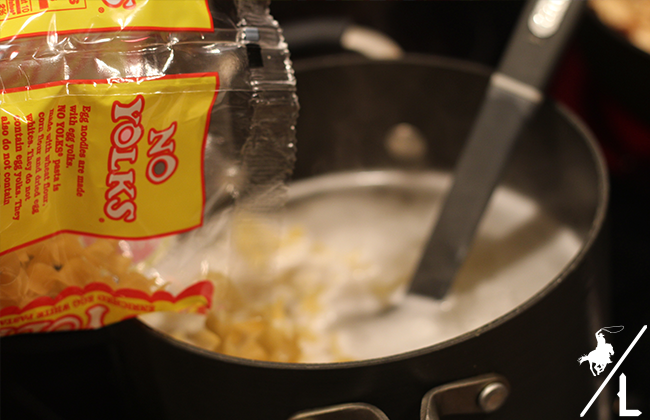 No Yolks Noodles are made with egg whites and no cholesterol and is low in fat & sodium. In a large skillet cook chicken. Add the mixed peppers, can of Ro-Tel and let simmer. While the chicken is cooking, in a large pot cook Noodles until al dente. Add noodles back into the pot and stir in the chicken. Sprinkle on the cheese and serve! This is a super quick and easy dish. Using the pre-made chicken really cuts back on the cook time, making this a great meal for those busy weeknights. My son absolutely devoured this dish, so I will be adding this to our dinner rotation! 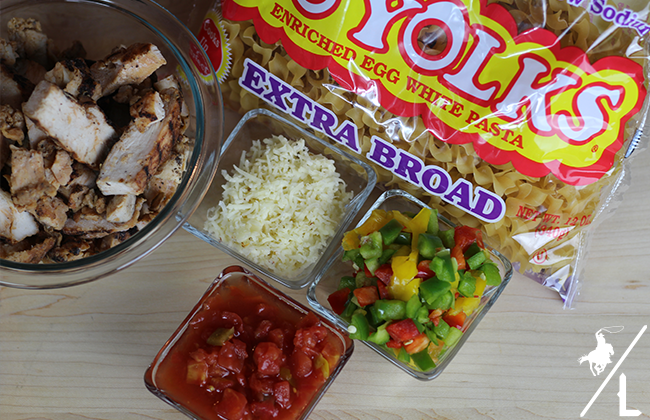 It’s easy to get a little creative with dinner when using No Yolks. They are so versatile and taste great in recipes such as Miso and French Onion soup or Noodles with Kale and Walnut Pesto – gone are the days of only using them in traditional stroganoff or chicken noodle soup.